Facebook and Yahoo have settled their patent row and formed an advertising alliance. 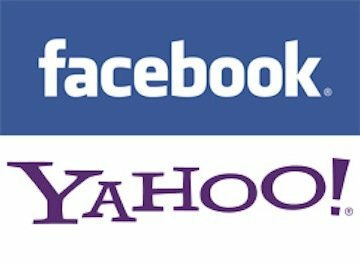 Yahoo had sued Facebook in March claiming 10 of its intellectual properties had been infringed. Facebook subsequently bought 750 patents from IBM and counter-sued. It later bought hundreds more patents from Microsoft to strengthen its defense. The firms said they would now cross-license innovations from each other and collaborate on future projects. The AllThingsD blog – which broke the news ahead of the official announcement – reported that Yahoo’s interim chief executive Ross Levinsohn had begun moves to resolve the dispute immediately after taking over from his ousted predecessor. It added that Facebook’s chief operating officer Sheryl Sandberg soon became involved in the resulting negotiations. The move may help secure Yahoo’s top job for Ross Levinsohn. He had been competing for the role against Hulu’s boss Jason Kilar. But, the video streaming service announced Jason Kilar had “graciously declined” to be considered for the role shortly after news of the patent agreement leaked. Although no money appears to have exchanged hands, the row has still proven to be expensive. Facebook had paid Microsoft $550 million to buy 650 patents and license a further 275. It has not disclosed the cost of its deal with IBM, although the tech site Cnet has suggested the sum was $83 million.